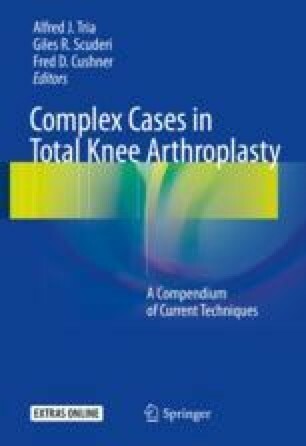 The valgus knee is a challenging knee for total knee arthroplasty. The deformity is less common than varus and requires more releasing to correct the deformity. The medial approach is the more common one because it is familiar to the surgeon; however, the lateral approach affords excellent visualization. The ligament imbalance can be approached both with tightening and releasing techniques, but releasing is once again more familiar to the operating surgeon. Option 1: No author associated with this case report has disclosed any potential or pertinent conflicts that may be perceived to have impending conflict with this work.